The Blood of Olympus, being released on Oct 7th. 2014, is the last book in the Heroes of Olympus series. I read the fourth book on the day it came out, October 7th, 2013 and have been waiting ever since (one whole year) for the next one. Since I’ve already read the first four books in the series, I’ve decided to do a book review countdown to the Blood of Olympus. I’ll publish a book review of the first four books, one a week… and then…The Blood of Olympus!! Jason Grace wakes up on a school bus and doesn’t know who he is. His girlfriend Piper and best friend Leo are both sitting next to him. When he says he doesn’t know them, they think he’s joking. They then realize that he’s not and the three of them get really worried. Jason finds out that they are on a bus to the Grand Canyon. When they get there, their group leader turns into a demon and attacks them all. Jason is amazed when a coin from his pocket turns into a sword. He uses it to fight off the demons to protect his friends. Soon, a chariot comes to the Grand Canyon to pick them all up. They are taken to Camp Half-Blood where they find out that they are demigods, children of gods and humans. Jason turns out to be the son of Zeus, Piper, the daughter of Aphrodite, and Leo, the son of Hephaestus. Piper befriends Annabeth Chase, daughter of Athena, who is another demigod at Camp Half-Blood. Annabeth tells Piper that her boyfriend, Percy Jackson, the son of Poseidon, has been missing for a while and she thinks that Jason may be the key to finding him. Annabeth takes Jason to the memory cabin to try and figure out who could have taken his memories and why. They find out that a goddess has taken his memories. Jason then receives a message from the same goddess saying that he needs to free her in order to get his memories back. 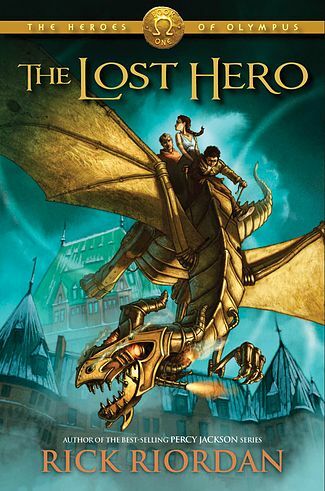 Jason sets off on a quest with Piper and Leo to set the goddess free, get his memories back, and maybe even find Percy Jackson, the son of Neptune. Will they be able to do it all?